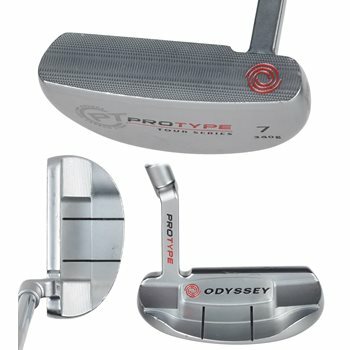 The Protype Tour Series #7 is a Heel-toe weighted flanged mallet with a crank-neck hosel and full-shaft offset. It is made of 1025 carbon steel, which provides premium feel, and the face has a deeper, sharper milling pattern to increase friction for better feel, truer roll, and more consistency. Using the headweight optimization, the putter head weight is matched up with the correct shaft length, the shorter the shaft the heavier the head is.